Almost three years ago now, I decided it was high time to create my own blog. My Very Own Blog, I thought to myself. Finally, I will be able to prove to the internet that I exist. I had some programming experience, but negative zero web development experience, and so I decided to follow the advice — quite reasonable, at first glance — not to create my own blog from scratch, but to use a framework of some kind. It appeared that some other people in DH were using WordPress for their blogs. So — why not? What could go wrong? Many things. Lots and lots of things. Among the mistakes I made, one stands out as particularly embarrassing, and I share it here only because I feel duty-bound to help others avoid it. The hosting service I had chosen was a pretty bare-bones operation, and charged extra for sites that use databases. WordPress wants to talk to MySQL, but — stuck in the fixed mindset of a graduate student groping between couch cushions for loose change — I didn’t want to pay for MySQL. By God, I wouldn’t pay for MySQL. I would work around this problem with SQLite! I installed WordPress with the SQLite Integration plugin, and, well, I think you can imagine just how pleased with myself I was. If I had bothered to actually do any research in advance, I would have quickly realized what an absolutely terrible idea this was. You probably know this already, but SQLite is essentially just a SQL-ified wrapper around an ordinary file, and doesn’t run separately from the program that uses it. So whenever a user tried to load this blog, they had to wait a for all the manifold database queries to complete before anything actually loaded. When the site was very small, I didn’t notice any difference. But even after adding just ten posts or so, I could tell things were slowing down. And it got slower and slower… I tried some things, got sad, and eventually decided to convert the site to MySQL — except that SQLite and MySQL are just different enough to make that hard. So then I thought “well, I don’t want to post new content on this blog until I get around to converting it.” And behold! A year has passed, and there is no new content on this blog, and there is very little chance that it will be converted any time soon. Furthermore, all the plugins I can find that might aid me — such as ones that generate static duplicates of the site — quickly realize that they have to talk to SQLite instead of MySQL, become mortally offended, and die in resentful silence. Therefore, today, with a heavy heart, I declare this blog closed for business. I’ve used the wonderful httrack tool to generate a static copy, and will be dropping it in place of the original site; I believe this will avoid breaking any links, and preserve all of the wonderful comments people have contributed over the last couple of years. At some point, I will create a much better blog and republish some or all of the old posts here. We shall not all sleep, but we shall all be changed. In the meanwhile — thanks for reading. A tenth of a second of Brownian noise in PCM format. Large samples of Brownian noise give results similar to those reported by Jockers and Reagan et. al. A couple of months ago, a research group released a paper on the ArXiv titled “The emotional arcs of stories are dominated by six basic shapes.” In it, they replicate results similar to those first described by Matt Jockers, using a somewhat different technique. I’ve written a jupyter notebook that raises doubts about their argument. 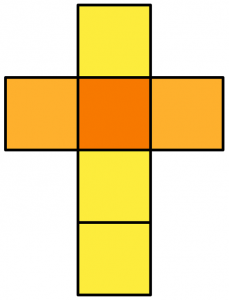 They claim that their work has shown that there are “basic shapes” that dominate human stories, but the results they’ve described provide no basis for such generalizations. Given what we know so far, it’s much more likely that the emotional arcs that these techniques reveal are, in general, noise. The notebook is available for examination and reuse as a github repository. What does it mean to say that these plot shapes are “noise”? The notebook linked above focuses on technical issues, but I want to write a few brief words here about the broader implications my argument has — if it’s correct. 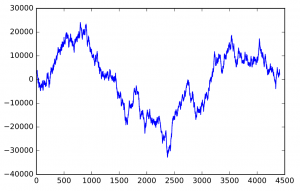 Initially, it may seem that if sentiment data is “noise,” then these measurements must be entirely meaningless. And yet many researchers have now done at least some preliminary work validating these measurements against responses from human readers. Jockers’ most recent work shows fairly strong correlations between human sentiment assessments and those produced by his Syuzhet package. If these sentiment measurements are meaningless, does that mean that human assessments are meaningless as well? That conclusion does not sit well with me, and I think it is based on an incorrect understanding of the relationship between noise and meaning. In fact, according to one point of view, the most “meaningful” data is precisely the most random data, since maximally random data is in some sense maximally dense with information — provided one can extract the information in a coherent way. Should we find that sentiment data from novels does indeed amount to “mere noise,” literary critics will have some very difficult questions to ask themselves about the conditions under which noise signifies. Note (2016-06-03): This revises an earlier post by removing some dated information and expanding the conclusion. The abstract as well as the paper framed this as a way of analyzing international relations. But what struck me immediately about this model is that it works with data that could be represented very naturally as RDF triples (if you add in a timestamp, that is). That means that this method might be able to do for RDF triples what topic modeling does for texts. 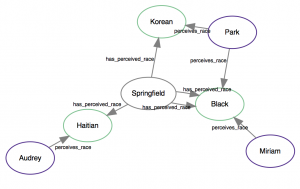 a useful data model for race would have to be time- and place-dependent, so that as a person moved from Brazil to the United States, she might move from white to black. Or perhaps the categories themselves would be time- and place-dependent, so that certain categories would edge into whiteness over time. Or! Perhaps you could contrast the racial makeup of a place as the Census understands it with the way it’s articulated by the people who live there. What would be the result? Think about what topic modeling does with language: it finds clusters of words that appear together in ways that seem coherent to human readers. But it does so in a way that is not predictable from the outset; it produces different clusters for different sets of texts, and those differences are what make it so valuable. They allow us to pick out the most salient concepts and discourses within a particular corpus, which might differ case-by-case. This technique appears to do the very same thing, but with relationships between groups of people over time. We might be able to capture local variations in models of identity within different communities. I am not entirely certain that this would work, and I’d love to hear any feedback about difficulties that this approach might face! I also doubt I’ll get around to exploring the possibilities more thoroughly right now. But I would really like to see more humanists actively seeking out collaborators in statistics and computer science to work on projects like this. We have an opportunity in the next decade to actively influence research in those fields, which will have widespread influence in turn over political structures in the future. By abstaining from that kind of collaboration, we are reinforcing existing power structures. Let’s not pretend otherwise. My first impulse upon reading last week’s essay in the LA Review of Books was to pay no attention. Nobody I know especially likes the name “digital humanities.” Many people are already adopting backlash-avoidant stances against it. “‘Digital Humanities’ means nothing” (Moretti); “I avoid the phrase when I can” (Underwood). As far as I can tell, the main advantage of “digital humanities” has been that it sounds better than “humanities computing.” Is it really worth defending? It’s an umbrella term, and umbrella terms are fairly easy to jettison when they become the targets of umbrella critiques. Still, we don’t have a replacement for it. I hope we’ll find in a few years that we don’t need one. In the meanwhile we’re stuck in terminological limbo, which is all the more reason to walk away from debates like this. Daniel Allington, Sarah Brouillette, and David Golumbia (ABG hereafter) have not really written an essay about the digital humanities, because no single essay could ever be about something so broadly defined. That’s what I told myself last week. But something about the piece has continued to nag at me. To figure out what it was, I did what any self-respecting neoliberal apologist would do: I created a dataset. Two, Erez Aiden and Jean-Baptiste Michel, are biostatisticians who were involved with the “culturomics” paper that — well, let’s just say it has some problems. The other, Michael Dalvean, is a political scientist who seems to claim that when used to train a regression algorithm, the subjective beliefs of anthology editors suddenly become objective facts about poetic value.2 Are these really the most representative examples of DH work by scholars entering the field? Exceptions too easily function as alibis. “Look, not everyone committed to Digital Humanities is a white man.” “Look, there are Digital Humanities projects committed to politically engaged scholarly methods and questions.” We are not negating the value of these exceptions when we ask: What is the dominant current supported even by the invocation of these exceptions? I disagree with their strategy, because I don’t think invoking exceptions inevitably supports an exclusionary mainstream. But I see the logic behind it. When it comes to early-career scholars, I no longer see the logic. Among all the humanities scholars who received a PhD in the last ten years, I would expect there to be representatives of the dominant current. I would also expect them to feature prominently in an essay like this, since they would be likely to play important roles directing that current in the future. The fact that they are almost entirely absent casts some doubt on one of the essay’s central arguments. Where there are only exceptions, no dominant current exists. I share with ABG the institutional concerns they discuss in their essay. I do not believe that all value can be reduced to monetary value, and I am not interested in the digital humanities because it increases ROI. Universities and colleges are changing in ways that worry me. I just think those changes have little to do with technology in particular — they are fundamentally social and political changes. Reading the essay with that in mind, the absence of early-career humanists looks like a symptom of a more global problem. Let’s provisionally accept the limited genealogy that ABG offer, despite all it leaves out. Should we then assume that the field’s future will follow a linear trajectory determined only by its past? That a field that used to create neoliberal tools will mechanically continue to do so in spite of all efforts to the contrary? That would be a terrible failure of imagination. centered on the ever accelerating progress of technology and changes in the mode of human life, which gives the appearance of approaching some essential singularity in the history of the race beyond which human affairs, as we know them, could not continue. Over the last decade, many optimistic technologists have described this concept with an evangelistic fervor that the staunchest Marxist revolutionary could admire. And yet this transformation is always framed as a technological transformation, rather than a social or political one. The governing fantasy of the singularity is the fantasy of an apolitical revolution, a transformation of society that requires no social intervention at all.3 In this fantasy, the realms of technology and politics are separate, and remain so even after all recognizable traces of the preceding social order have been erased. “Neoliberal Tools (and Archives)” seems to work with the same fantasy, transformed into a nightmare. In both versions, to embrace technology is to leave conscious political engagement behind. But the singularity only looks like a singularity to technologists because they are used to being able to predict the behavior of technology. From the perspective of this humanist, things look very different: the singularity already happened, and we call it human society. When in the last five-hundred years has it ever been possible for human affairs, as known at a given moment, to continue? What have the last five centuries of human history been if not constant, turbulent, unpredictable change? If a technological singularity arrives, it will arrive because our technological lives will have become as complex and unpredictable as our social and political lives already are. If that time comes, the work of technologists and humanists will be the same. That might be an unsettling prospect. But we can’t resist it by refusing to build tools, or assuming that the politics of tool-building are predetermined from the outset. Instead, we should embrace building and using tools as inherently complex, unpredictable social and political acts. If they aren’t already, they will be soon. In their paper, Yarkoni and Westfall argue that the methodological apparatus of machine learning provides a solution to the problem that allows p-hacking. 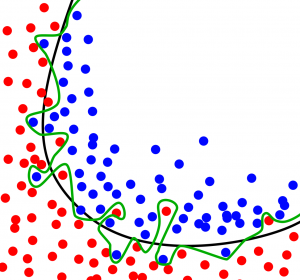 In machine learning lingo, the name of that problem is overfitting. I find the argument very persuasive, in part based on my own experience. After a brief description of the paper, I’d like to share a negative result from my research that perfectly illustrates the overlap they describe between overfitting by machines and overfitting by humans. The green line tries too hard to fit the data perfectly; the black line makes more errors, but comes closer to the truth. Via Wikimedia Commons. As an alternative to p-hacking, Yarkoni and Westfall offer a new term: procedural overfitting. This term is useful because it draws attention to the symmetry between the research practices of humans and the learning processes of machines. When a powerful machine learning algorithm trains on noisy data, it may assign too much significance to the noise. As a result, it invents a hypothesis that is far more complicated than the data really justifies. The hypothesis appears to explain that first set of data perfectly, but when tested against new data, it falters. After laying out the above ideas in more detail, Yarkoni and Westfall make this claim: when researchers p-hack, they do exactly the same thing. They take noisy data and misappropriate the noise, building a theory more complex or nuanced than the evidence really justifies. If that claim is true, then the tools machine learning researchers have developed to deal with overfitting can be reused in other fields. Some of those fields might have nothing to do with predicting categories based on features; they may be more concerned with explaining physical or biological phenomena, or with interpreting texts. But insofar as they are hampered by procedural overfitting, researchers in those fields can benefit from predictive methods, even if they throw out the predictions afterwards. Others have articulated similar ideas before, framed in narrower ways. But the paper’s illustration of the cross-disciplinary potential of these ideas is quite wonderful, and it explains the fundamental concepts from machine learning lucidly, without requiring too much prior knowledge of any of the underlying algorithms. This is all especially relevant to me because I was recently both a perpetrator and a victim of inadvertent procedural overfitting. Fortunately, using the exact techniques Yarkoni and Westfall talk about, I caught the error before reporting it triumphantly as a positive result. I’m sharing this now because I think it might be useful as a concrete example of procedural overfitting, and as a demonstration that it can indeed happen even if you think you are being careful. At the beginning of the year, I started tinkering with Ted Underwood and Jordan Sellers’ pace-of-change dataset, which contains word frequency counts for 720 volumes of nineteenth-century poetry. Half of them were sampled from a pool of books that were taken seriously enough to receive reviews — whether positive or negative — from influential periodicals. The other half were sampled from a much larger pool of works from HathiTrust. Underwood and Sellers found that those word frequency counts provide enough evidence to predict, with almost 80% accuracy, whether or not a given volume was in the reviewed subset. They used a Logistic Regression algorithm that incorporated regularization methods similar to the one Yarkoni and Westfall describe in their paper. You can read more about the corpus and the associated project on Ted Underwood’s blog. Inspired by Andrew Goldstone’s replication of their model, I started playing with the model’s regularization parameters. Underwood and Sellers had used an L2 regularization penalty.2 In the briefest possible terms, this penalty measures the model’s distance from zero, where distance is defined in a space of possible models, and each dimension of the space corresponds to a feature used by the model. 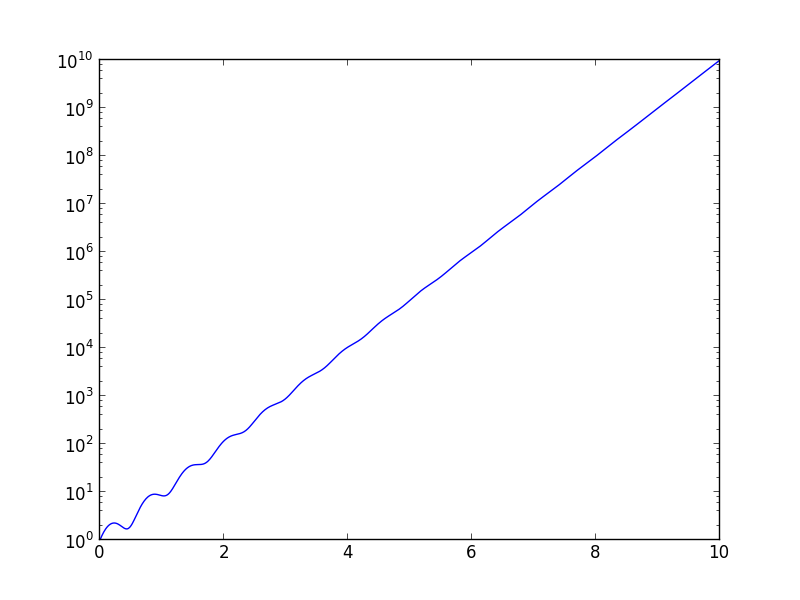 Models that are further from zero on a particular dimension put more predictive weight on the corresponding feature. 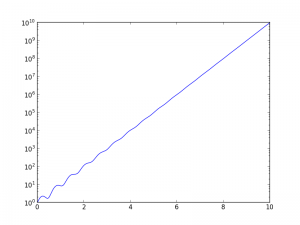 The larger the model’s total distance from zero, the higher the regularization penalty. Goldstone observed that there might be a good reason to use a different penalty, the L1 penalty.3 This measures the model’s distance from zero too, but it does so using a different concept of distance. Whereas the L2 distance is plain old euclidean distance, the L1 distance is a simple sum over the distances for each dimension.4 What’s nice about L1 regularization is that it produces sparse models. That simply means that the model learns to ignore many features, focusing only on the most useful ones. Goldstone’s sparse model of the pace-of-change corpus does indeed learn to throw out many of the word frequency counts, focusing on a subset that does a pretty good job at predicting whether a volume was reviewed. 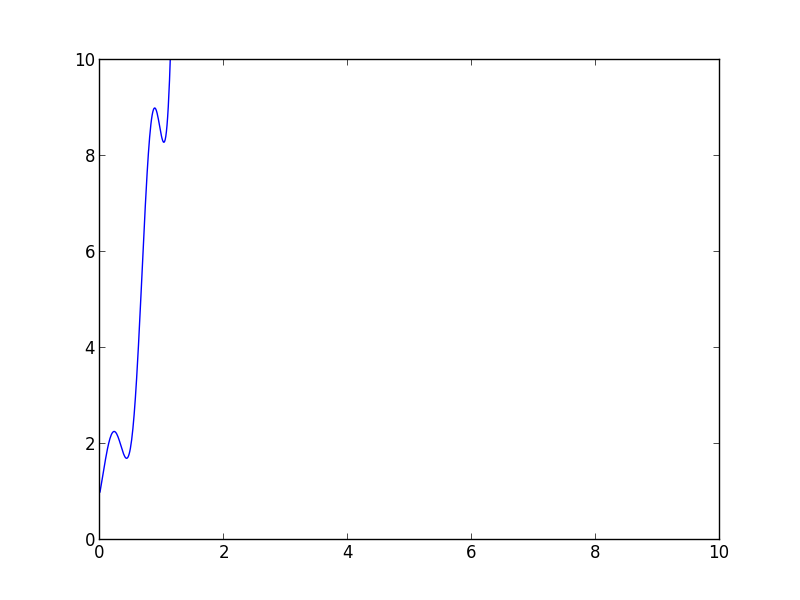 However, it’s not quite as accurate as the model based on L2 regularization. I wondered if it would be possible to improve on that result.5 A model that pays attention to fewer features is easier to interpret, but if it’s less accurate, we might still prefer to pay attention to the weights from the more accurate model. Additionally, it seemed to me that if we want to look at the weights produced by the model to make interpretations, we should also look at the weights produced by the model at different regularization settings. 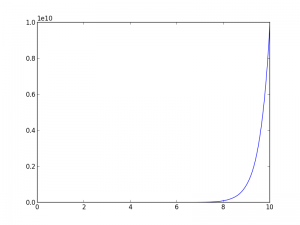 The regularization penalty can be turned up or down; as you turn it up, the overall distance of the model from zero goes down. What happens to the individual word weights as you do so? It turns out that for many of the word weights, the result is uninteresting. They just go down. As the L2 regularization goes up, they always go down, and as the L1 regularization goes up, they always go down. 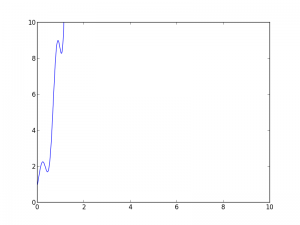 But a few words do something different occasionally: as the L1 regularization goes up, they go up too. This is surprising at first, because we’re penalizing higher values. When those weights go up, they are pushing the model further away from zero, not closer to zero, as expected. This is a bit like watching a movie, turning down the volume, and finding that some of the voices get louder instead of softer. 0 volumes missing in the directory. I was astonished. This test was based on the original code from Underwood and Sellers, which does a very rigorous version of k-fold cross-validation. For every prediction it makes, it trains a new model, holding out the single data point it’s trying to predict, as well as data points corresponding to other works in the corpus by the same author. That seems rock-solid, right? So this can’t possibly be overfitting the data, I thought to myself. @scottenderle No, yeah, the test/training point isn't ambiguous. You can't do feature selection on your test set and call it a test set. This was part of a conversation about a controversial claim about epigenetic markers associated with sexual orientation in men. It was receiving criticism for using faulty methods: they had modified their model based on information from their test set. And that means it’s no longer a test set. I realized I had just done the same thing. This is a scanty improvement on the standard model from Underwood and Sellers — so scanty that it could mean nothing. That incredible performance boost was only possible because the feature selector could see all the answers in advance. In this case, my error wasn’t too hard to catch. To find that first, magical feature set, I had used an automated process, which meant I could test it in an automated way — I could tell the computer to start from scratch. Computers are good at unlearning things that way. But humans aren’t. Suppose that instead of using an automated process to pick out those features, I had used intuition. Intuition can overfit too — that’s the essence of the concept of procedural overfitting. So I would have needed to cross-validate it — but I wouldn’t have been able to replicate the intuitive process exactly. I don’t know how my intuition works, so I couldn’t have guaranteed that I was repeating the exact same steps. And what’s worse, I can’t unsee results the way a machine can. The patterns I had noticed in those first results would have unavoidably biased my perception of future results. To rigorously test my intuitive feature selections, I would have needed to get completely new data. I’ve had conversations with people who are skeptical of the need to maintain strict separation between training, cross-validation, and test data. It’s an especially onerous restriction when you have a small dataset; what do you do when you have rigorously cross-validated your approach, and then find that it still does poorly on the test set? If you respect the distinction between cross-validation and test data, then you can’t change your model based on the results from the test without demoting the test data. If you use that data for tuning, it’s just not test data anymore — it’s a second batch of cross-validation data. Skeptics may insist that this is overly restrictive. But my experiences with this model make me certain that it’s vital if you aren’t tuning your model in a precisely specified way. Even now, I feel a little uneasy about this feature selection method. It’s automated, and it performs as well as the full model in the tests I’ve run, but I developed it after looking at all the data. There was still a small flash of intuition that led me to notice that some words were getting louder instead of softer as I turned down the volume. And it remains possible that future data won’t behave the same way! In an ideal world, I would have held out a final 20% for testing, just to be safe. But at least in this case, I have the comfort of knowing that even without having done that, I was able to find and correct a significant overfitting problem, because I used an automated feature selection method. What does that mean? Belong together in what sense? Closely connected how? Aren’t those essentially synonyms? If I were in a less lazy mood, I’d look up the sources cited for those definitions, and find other, more reliable (?) sources than Wikipedia. But I’ve done that before, and couldn’t find anything better. And as I’ve gained experience, I’ve developed a sense that, yes, some code is tightly coupled — and just awful to maintain — and some code is cohesive without being tightly coupled — and a joy to work with. I still can’t give good definitions of coupling or cohesion. I just know them when I see them. Actually, I’m not even sure I always know them when I see them. So I’ve spent a lot of time trying to figure out a more precise way to describe these two concepts. And recently, I’ve been thinking about an analogy that might help explain the difference — it links the relationship between cohesion and coupling to the relationship between volume and surface area. The analogy begins with the idea of interfaces. Programmers often spend long hours thinking about how to define precise channels of communication between pieces of software. And many programming styles — object-oriented development, for example — emphasize the distinction between private and public components of a computer program. Programs that don’t respect that distinction are often troublesome because there are many different ways to modify the behavior of those programs. If there are too many ways, and if all those ways are used, then it becomes much more difficult to predict the final behavior that will result. The net (unfolded surface) of a cube. Suppose we think of interfaces and public variables as the surface of a program, and think of private variables and methods as being part of the program’s interior — as contributing to its volume. In a very complex program, enforcing this distinction between public and private becomes like minimizing the surface area of the program. As the program gets more and more complex, it becomes more and more important to hide that complexity behind a much simpler interface, and if the interface is to remain simple, its complexity must increase more slowly than the complexity of the overall program. What if the relationship between these two rates — the rate of increase in complexity of the interface and the rate of increase in complexity of the overall program — is governed by a law similar to the law governing the relationship between surface area and volume? 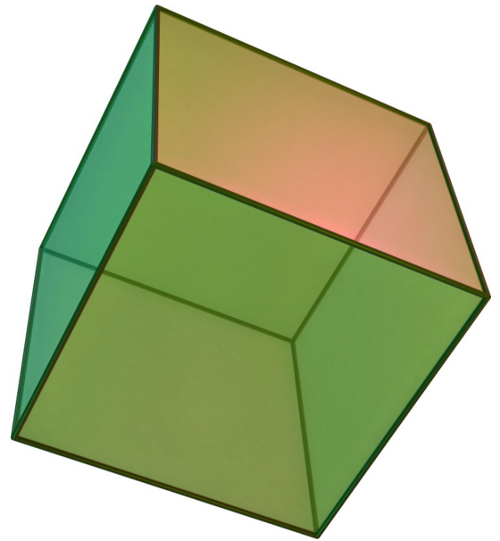 Consider a cube. As the cube grows in size, its volume grows faster than its surface area. To be precise (and forgive me if this seems too obvious to be worth stating) its volume is , while its surface area is for a given edge-length . Biologists have used this pattern to explain why the cells of organisms rarely grow beyond a certain size. As they grow larger, the nutrient requirements of the interior of the cell increase more quickly than the surface’s capacity to transmit nutrients; if the cell keeps growing, its interior will eventually starve. The cell can avoid that fate for a while by changing its shape to expand its surface area. But the cell can only do that for so long, because the expanded surface area costs more and more to maintain. 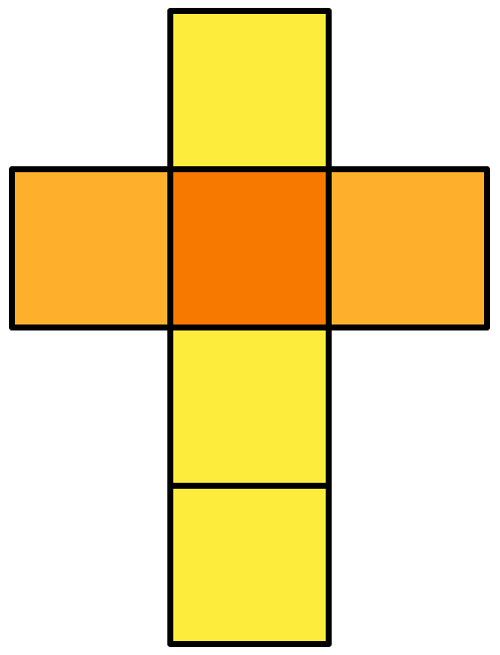 Eventually, it must divide into two smaller cells or die. Might this not also give us a model that explains why it’s difficult to develop large, complex programs without splitting them into smaller parts? On one hand, we have pressure to minimize interface complexity; on the other, we have pressure to transmit information into the program more efficiently. As the program grows, the amount of information it needs increases, but if the number of information inlets increases proportionally, then soon, it becomes too complex to understand or maintain. For a while, we can increase the complexity of the program while keeping the interface simple enough just by being clever. But eventually, the program’s need for external information overwhelms even the most clever design. The program has to be divided into smaller parts. So what do “coupling” and “cohesion” correspond to in this model? I’m not sure exactly; the terms might not be defined clearly enough to have precise analogs. But I think coupling is closely related to — returning to the cell analogy now — the nutrient demand of the interior of the cell. If that demand goes unchecked, the cell will keep expanding its surface area. It will wrinkle its outer membrane into ever more complex and convoluted shapes, attempting to expose more of its interior to external nutrient sources. At this point in the analogy, the underlying concept becomes visible; here, the cell is tightly coupled to its environment. After this coupling exceeds some threshold, the cell’s outer membrane becomes too large and complex to maintain. In turn, cohesion is closely related to the contrary impulse — the impulse to reduce surface area. Imagine a drop of water on a smooth surface. It rests lightly on the surface seeming almost to lift itself up. Why? It turns out that surfaces take more energy to maintain than volumes; they cost more. 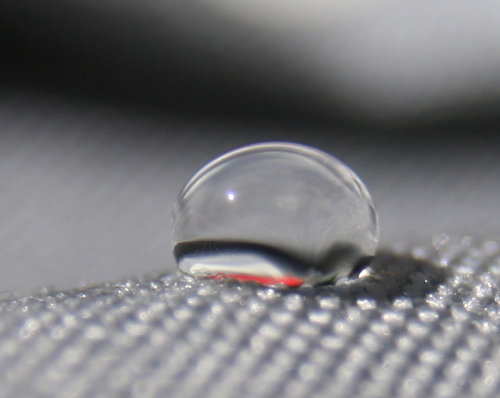 Molecules in the interior of the drop can take configurations that molecules on the surface can’t. Some of those configurations have lower energy than any possible configuration on the surface, so molecules on the surface will tend to “fall” into the interior. The drop will try to minimize its surface area, in much the way a marble in a bowl will roll to the bottom. And the shape with the lowest surface-area-to-volume ratio is a sphere. We have different words for this depending on context. This phenomenon is the same phenomenon we sometimes name “surface tension.” Water striders can glide across the surface of a pond because the water wants to minimize its surface area. The water does not adhere to their limbs; it coheres; it remains decoupled. These ways of thinking about coherence and coupling make the concepts seem a bit less mysterious to me. People unfamiliar with machine learning might imagine that in the context of (say) face recognition, a “feature” would be the computational equivalent of “high cheekbones” or “curly hair.” And they wouldn’t be far off the mark to think so, in a way — but they might be surprised to learn that often, the features used by image recognition software are nothing more than the raw pixels of an image, in no particular order. It’s hard to imagine recognizing something in an image based on pixels alone. But for many machine learning algorithms, the measurements that count as features can be so small as to seem almost insignificant. This is possible because researchers have found ways to train computers to assemble higher-level features from lower-level ones. And we do the same thing ourselves, in our own way — we just don’t have conscious access to the raw data from our retinas. The features that we recognize as recognizable are higher-level features. But those had to be assembled too, and that’s part of what our brain does.1 So features at one level are composites of smaller features. Those composite features might be composed to form even larger features, and so on. When do things stop being features? One answer is that they stop when we stop caring about their feature-ness, and start caring about what they mean. For example, let’s change our domain of application and talk about word counts. Word counts are vaguely interesting to humanists, but they aren’t very interesting until we start to build arguments with them. And even then, they’re just features. For example, suppose we have an authorship attribution program. We feed passages labeled with their authors into the program; it counts the words in the passages and does some calculations. Now the program can examine texts it hasn’t seen before and guess the author. In this context, that looks like an interpretive move: the word counts are just features, but guess the program makes is an interpretation. We can imagine another context in which the author of a text is a feature of that text. In such a context, we would be interested in some other property of the text: a higher-level property that depends somehow on the identity of the text’s author. But that property would not itself be a feature — unless we keep moving up the feature hierarchy. This is an anthropocentric definition of the word “feature”: it depends on what humans do, and so gives up some generality. But for that same reason, it’s useful: it shows that we determine by our actions what counts as a feature. If we try to force ourselves into a non-anthropocentric perspective, it might start to look like everything is a feature, which would render the word altogether useless. I think this line of reasoning is useful for thinking through this moment in the humanities. 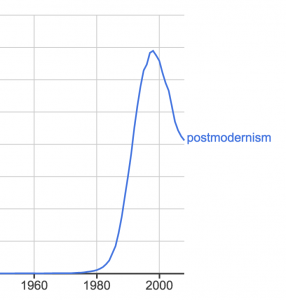 What does it mean for the humanities to be “digital,” and when will the distinction fade? I would guess that it will have something to do with coming shifts in the things that humanists consider to be features. In my examples above, I described a hierarchy of features, and without saying so directly, suggested that we should want to move up that hierarchy. But I don’t actually think we should always want that — quite the opposite. It may become necessary to move back down a level or two at times, and I think this is one of those times. Things that used to be just features are starting to feel more like interpretations again. This is how I’m inclined to think of the idea of “Surface Reading” as articulated by Stephen Best and Sharon Marcus a few years ago. The metaphor of surface and depth is useful; pixels are surface features, and literary pixels have become interesting again. This valorization of surface reading as willed, sustained proximity to the text recalls the aims of New Criticism, which insisted that the key to understanding a text’s meaning lay within the text itself, particularly in its formal properties. In his recent discussion of the new sociologies of literature, Ted Underwood expresses concern that “if social questions can only be addressed after you solve all the linguistic ones, you never get to any social questions.” I agree with Underwood’s broader point — that machine learning techniques are allowing us to ask and answer social questions more effectively. But I would flip the argument on its head. The way we were answering linguistic questions before was no longer helping us answer social questions of interest. By reexamining the things we consider features — by reframing the linguistic surfaces we study — we are enabling new social questions to be asked and answered. That looks roughly like modern English, even though it isn’t. But the earlier lines are clearly (to me) not even pseudo-English. Could they be pseudo-Old-English (the absence of thorns and eths notwithstanding)? Unfortunately I don’t know a thing about Old English, so I am uncertain how one might test this vague hunch. Nonetheless, it seems plausible to me that the network might be picking up on the rudiments of Old English lingering in modern (-but-still-weird) English orthography. And it makes sense — of at least the dream-logic kind — that the oldest phonotactic constraints might be the ones the network learns first. Perhaps they are in some sense more fully embedded in the written language, and so are more predictable than other patterns that are distinctive to modern English. It might be possible to test this hypothesis by looking at which phonotactic constraints the network learns first. If it happened to learn “wrong” constraints that are “right” in Old English — if such constraints even exist — that might provide evidence in favor of this hypothesis. It mesmerizes me to watch it slowly deduce new rules. It never quite gets to the level of sophistication that a true recurrent neural network might, but it gets close. If you don’t get interesting results after a good twenty-four or forty-eight hours of training, play with the settings — or contact me! Our field is in its infancy and there is no road map. Weird ideas have an important role to play, even if they help profile the good ideas more clearly. Sound advice from the first volume of Tristram Shandy (1760). I couldn’t agree more. In fact, I thought the inaugural weird idea was quite wonderful! It involved using a “market basket” algorithm on texts — the amazon.com approach to diction analysis. My philosophy is, why shouldn’t a sentence be like a shopping cart? I have no idea whether this approach could be useful, but then — that’s the point. I will forgive the skeptics in my audience for thinking that this is just a highfalutin justification for writing filler to meet an arbitrary publication schedule.3 You others: read on. My half-baked idea for this Friday is that we should come up with a new kind of reading in addition to close and distant reading: log-scale reading. I’m not certain this is a good idea; I’m not even totally certain what it means. But think for a moment about why people use log scales: they reveal patterns that only become obvious when you use a scale that shows your data at many different levels of resolution. Now, you can see from the equation that there’s a lot of complexity here; but if you had only seen the graph, you’d only notice the pattern of exponential growth. We’re zoomed way too far out. What happens when we zoom in? This doesn’t make smaller patterns invisible, nor does it cut off our global view. It’s a much better representation of the function. Now, this may seem dreadfully obvious. It’s data visualization 101: choose the right scale for your data. But I find myself wondering whether there’s a way of representing texts that does the same thing. When discussing distant reading and macroanalysis, people talk a lot about “zooming out” and “zooming in,” but in other fields, that’s frequently not the best way to deal with data at differing scales. It’s often better to view your data at multiple scales simultaneously. I’d like to be able to do that with text. 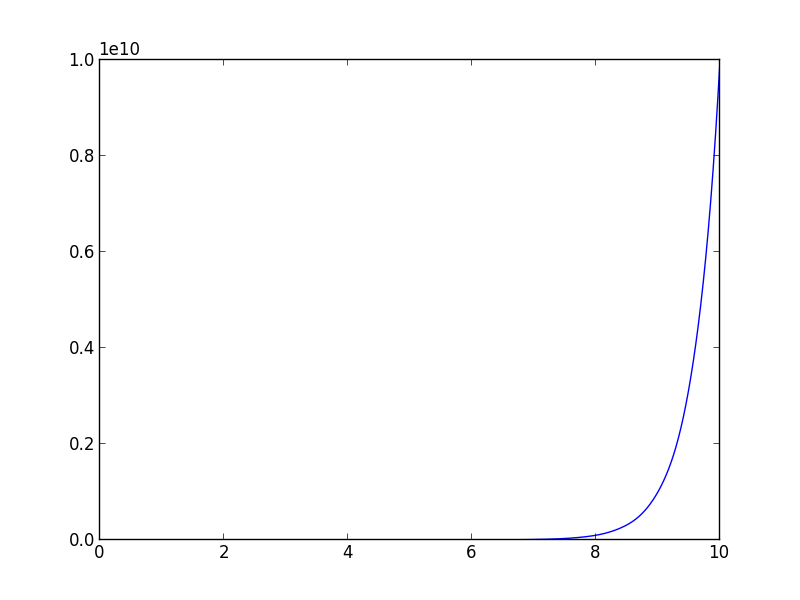 So that illustrates, in a very hazy and metaphorical way, what log-scale reading would be. But that’s all I’ve got so far. In some future Filler Friday4 post, I’ll explore some possibilities, probably with no useful outcome. I’ll try to make some pretty pictures though.